In 1920, Wilmot Swanson, artist and wanderer, reined his horse and buggy into a logged-over lumber camp just south of Lakewood, Wisconsin. As he surveyed the clipped off stumps and the feeble sprigs of poplar, he had vision for a world of peace and beauty--a magical world of stone houses and wooden gates, of hand-hewn furniture and pictures framed in the roots of trees. He was a builder seeking to live in creative harmony with nature. He spent the rest of his life turning that vision into a wonderful reality. His final creation, the Gingerbread House, greets visitors to the resort as they enter. This stone and wood masterpiece was completed in the mid-1950's and, in it, one can see fulfillment of many of the design concepts Swanson developed while working on four earlier cottages and a large farmhouse. Rock Rest, nestled down a gentle slope from the Gingerbread house and hugging the shore of Maiden Lake, illustrates many of these same techniques. Rock Rest was built just prior to the Gingerbread House. Three other cottages, built between the 1920's and 1950's, are located on Camp Lake. Two are constructed of logs, the third of stone. They are part of what seems to be a small European village complete with a stone barn. Since the log cottages were constructed first, it seems that Swanson found, in stone, his preferred medium. Various color and shapes of stones are used as subtle commentary. Others form useful features such as waterfall-style downspouts. In stone, Swanson's vision reached its full magical potential. Swanson made much of the furniture that graces his cottages. But Swanson's world is made up of far more than five cottages. Paths that wander across the 127 acres lead you to discover all sorts of elfin gates, stone columns, and curious turnstiles. Swanson died in December of 1972. His failing health kept him from completing a sixth cottage he had envisioned just south of the Gingerbread House. Today, Camp Lake Resort remains much as Swanson left it, operated by his daughter Esther, and her husband, John Larson, and their son Steve Larson. 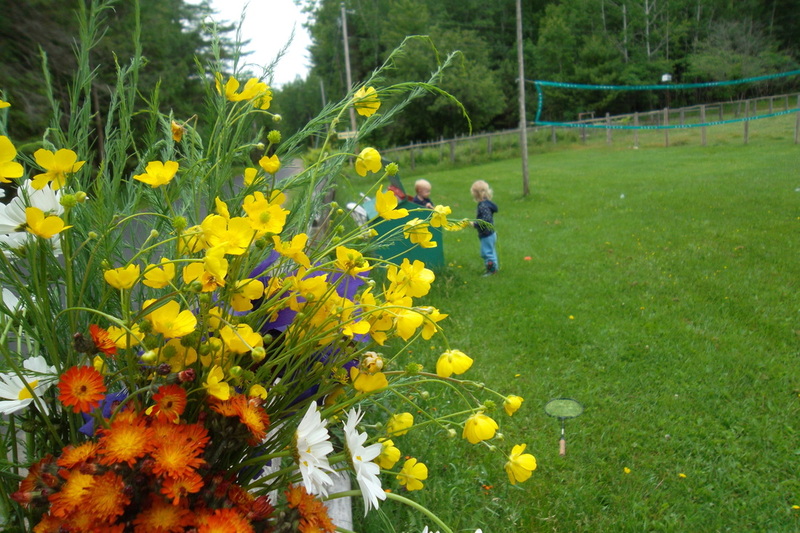 Guests of Camp Lake Resort typically return again and again, often bringing friends and family to share in the unique pleasure of this incredible place. Don't miss your chance to enjoy the peace and beauty of Wilmot's magical vision. Call now to reserve your own time in the world and imagination of Wilmot Swanson.